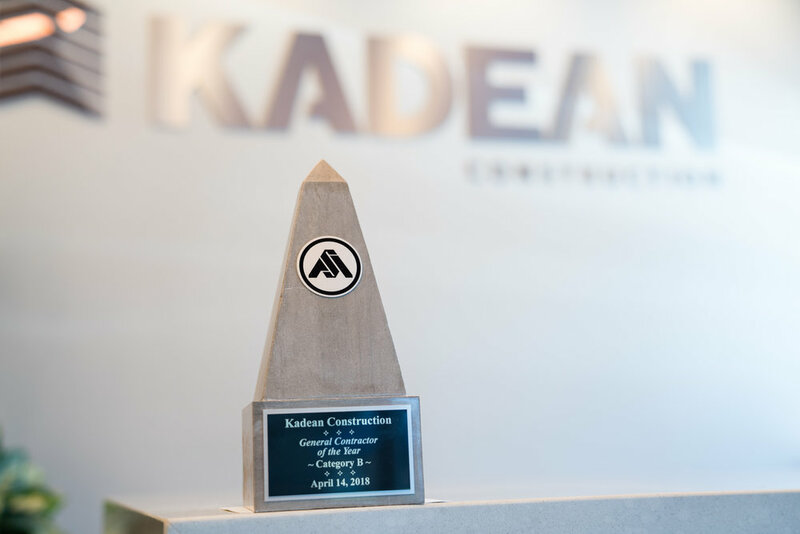 Kadean has built its reputation in the construction industry for our quality work and being a trusted partner to our clients, designers and subcontractors. For more than 50 years, our focus on teamwork, transparency and integrity has defined our business philosophy and collaborative culture. We offer a full range of services — Pre-Construction, Design-Build, Construction Management and General Contracting — for a diverse set of clients in the health care, industrial, office, senior care, multi- family and commercial industries. We excel at meeting deadlines, exceeding expectations and providing excellent service. Kadean provides competitive and comprehensive pricing on every project through our tight-knit relationships, direct access to leadership and our single-stream approach. The value we provide is seen in our efficient processes, the highest level of respect for our subcontractors and the knowledge to do what’s right. We believe in ethical, fair contracting while being easy to work with at all levels of your build. Our clients have called us the “new benchmark” for what they expect out of construction companies. These relationships drive our long-term goals, and our ambition is that clients would never hesitate to work with us again. We want to be your trusted, reliable partner. Since 1963, our employees have known that relationships and reputation drive our business. Everyone has a stake in your project, and our eagerness to succeed is matched only by our willingness to go above and beyond. To us, doing the right thing always comes first. We have the talent to dive deep into the details to understand complex projects. This is a foundational trademark ability for Kadean. Effective communication and early coordination of the design details are essential to the success of every project that we undertake. Our corporate structure is unique in that we are not “departmentalized”. Our project managers are proactive and intimately involved in the preliminary design, conceptual budgeting, value engineering, estimating, bidding, purchasing, on-site construction and the project closeout. We are not volume-driven and have consciously maintained our management structure to allow for a principal of Kadean to be hands-on in every project. We are a down-to-earth, Midwestern company based in St. Louis with proven experience in markets all across the country.